Our longevity means we know the pre-employment and background screening industry and how to respond most effectively to our clients' needs. We take customer service seriously. Whether you use our services once a month or once a year, you get the highest level of customer service and hands-on expertise. That's why our customers stay with us year after year and also refer their colleagues to us. We comply with Canada's Personal Information Protection & Electronic Documents Act (PIPEDA) and are registered under the Consumer Reporting Act in Ontario. We have a strong global presence that allows us to meet our clients' needs internationally for all aspects of pre-employment screening services. Our membership in the National Association of Professional Background Screeners Canada (NAPBS) demonstrates our commitment to professionalism while staying on top of industry trends. NAPBS Canada is part of NAPBS International. This important affiliation extends our reach to most countries around the world. Marty Britton, President of Britton Management Profiles, is a member of the board of directors of NAPBS Canada.  Our online order system makes it easy to get started with our services. Helps clients initiate background checking orders at any time. as they are being completed. From entry level to executive job types. Personal service - We don't use call centers. We understand the need to be thorough and time sensitive. We tailor our services to your requirements.